Welcome to The Systems United Navy forums! It looks like you're not signed in, you can fix that by clicking here. You get access to extra awesome features if you're logged in. Discussion in 'News & Announcements' started by Jasticus, Nov 2, 2015. Greetings one and all, to another weekly update. With patch 1.3 having dropped last week, now all eyes are on Alpha 2, and what that will bring. We keep getting teased with nice updates about what is upcoming, but as to when we will see it (live or PTU) is as usual anyone's guess. Sorry this is a bit later than usual in posting, had other stuff to do today that I wasn't expecting (to do today, anyway). My guess is they're going to try to have it ready for the anniversary livestream, but if they fail that... then it would have to be a Christmas present, or a loooooot of people are gonna be unhappy. One is the normal weekly update on most things SC Alpha, but the real big deal is the upcoming changes to the flight model. It's very in-depth, and at times I had difficulty understanding it. But the biggest takeaway is the slowed acceleration to top speed (and even variable top speeds!) so that we no longer fly around in the little ships while jerking around like a 'hummingbird'. Not a whole lot, but there are a few things here and there. As always, the massive transcript from INN. Note: As has been happening more and more often, a lot of these aren't necessarily Star Citizen-related anymore... or if they are, they are about past things that have happened and not so much about upcomings or things that I know most of us are interested in. So I'm not going to summarize those, because... if it's not game-related, then it doesn't really matter. If you're that interested, I linked the full transcript, which contains a link to the video too. I'm finding myself becoming agitated while watching some of these lately. While sure, it is nice to hear about how to be a producer/writer/artist if you're interested in being one, for those looking for things about SC the game... I find it hard to care about more than half of these questions because they don't relate to Star Citizen, but instead to Cloud Imperium. The realization I'm having is that they are running out of SC-related questions to answer that they haven't already asked a million times, or because there are things they don't want to give away. CLOUD IMPERIUM: As a producer you get to see an in-depth look of the game and how the people work on the different systems. Are there any specific things you always wanted to do (or wished you could do) yourself if you had the skills for it? What assets would be your favourite to work on? CLOUD IMPERIUM: As a producer you maintain an overview of the project progress and coordinate the disciplines (Art, Design, etc) to bring together a final product in the game (ship, location, etc), however to maintain the overview you need to be in the detail of each discipline. How do you draw the line between maintaining an overview and going too far down the detail rabbit hole? Give us an example. Some producers come from certain technical or design backgrounds. They just have to know with practice when is a good time to back off and look at the bigger picture. How do you make task duration estimates when situations like ‘technical blockers’ pop up? It depends, if they have come across a blocker like it before, they estimate based on how long it took to fix previously. If not, they ask the person doing the fixing how long they think it will take, then add a little bit to that estimation. It has already been mentioned that CIG is in progress of trying to pool their human resources in their various studios around the world. This puts more people with a similar set of skills and focus in the same place, avoiding some of the natural roadblocks of working with people in a different timezone. From a producer’s perspective could you give any examples of how this organizational change has produced SC content more efficiently. Has this affected the speed/quality at which the Freelancer has been remodeled for instance? Short answer: Yes, because it makes sense to have all the people working on the same thing in one place to facilitate communication and streamlining. As producers I assume you play the role of project managers and therefore have a huge role in monitoring the developmental progress of the project. At what point do you step in and determine that a person, group or contractor(s) is/are having difficult with their assigned task and what actions have you taken to remedy the situation? Also are your teams comprised of individuals focused in specific tasks or are most tasks down in small teams with a leader/mentor for the less experienced members? Short Answer: If they're not having success, they find out the problem and go about problem solving the best way to fix it. For the second question, all teams have a 'Lead' assigned to them, for guidance. CLOUD IMPERIUM: What are the challenges that come with staff changes in different departments? What are the challenges you face when changing producers? Do you need to re-assign certain responsibilities? Do you guys share all responsibilities, and have similar knowledge/information about current tasks, or is it split between you? How do you effectively share information? Do you ever find it difficult to exchange information with other studios due to cultural, or language barriers? If the buck knife breaks while defending yourselfs, do to poor workmanship, how do you punish the employee you assigned to make it? We’ve been told that 1.3 is the merging of all the development streams into one. This makes me that 1.3 is actually kind of huge in the way of things running smoother. Could you spend a few minutes to describe the sort of impact “merging the streams” has on the development process, and how better (or worse) it makes your job? Short Answer: *facepalm* Yes, it makes it easier. Duh. It means less time spent with QA checking all the streams for bugs, and having to make sure that a bug or feature isn't already fixed/implemented in another stream so time isn't wasted on it. What is done when a component becomes too complex or cumbersome to be useful in the game. Would it be dialed back or scrapped and start anew? Short Answer: Don't start a project that doesn't have obviously attainable goals. For the R&D portions, just work on it gradually working out bits of it until you get a clearer picture. Don't use the carrot and stick method because that's forcing people to do something they don't like, instead discuss amongst peers and see who is most interested. CLOUD IMPERIUM: How much of your work is focused on stuff we won’t see for many months or longer compared to stuff that goes from concept to delivery very quickly? Are we seeing the bleeding edge, or is it mostly polished but old content to you? What is the project management style, meaning waterfall, some flavor of agile or something else? You often mention the use of sharp, pointy implements when talking about herding the team. Is the work environment more Mad Max or Jurassic Park? You see stuff from all throughout the content pipeline. Otherwise N/A. CLOUD IMPERIUM: Okay, I’ll try a more serious question. I’m a programmer that works on bespoke business apps and I use Jira at work. How do you guys use Jira? Is it the “source of truth” for tracking what people are working on and how completely they feel it is, what’s assigned to them but unstarted, etc. Have you modified the workflow and statuses to better represent the ship pipeline, for example? Or is it all spreadsheets? *sigh* If it's not in Jira, it doesn't exist. Otherwise N/A. Full ATV transcript. They are working on doing these as CC for ATV, ect... but need someone to clean up grammar and spelling from the looks of things. - Working on the Constellation's docking port for the Merlin. Also working on Constellation LOD's. - Finishing up technical design for the Caterpillar. - Working on the next iteration of the shopping UI. - Casaba Outlet has been whiteboxed, is being moved into final art. - Motion dampening being put into place for when you do emotes, so you don't get motion sickness from dancing, etc. - Refuel and Repair robots have gotten another pass, are intended to be placeholders for the full thing later on when it is completely implemented. - Working on background events around Crusader, so that there is still stuff going on even if you're not fully paying attention to it. - Repair and Refuel will also be the same for NPC as it is for the PC's. - New studio tour. Still lots of open space, still hiring. - Lots of work on 2.0, they’re content complete, just bug fixing and polishing now. - QA folks this week have been doing lots of 2.0 testing. Making sure it’s ready to go out. There are still severe issues, but they’re working through and logging them, getting them fixed as quick as possible. - Cherie’s working on the Star Map more. It’s never done, she’s adding moons to Pyro, you can watch the moons update in real time. - Q: What does the QA team do? A: It’s definitely not playing the game every day. As new features and new builds come on, doing a lot of performance testing, functionality testing, etc… for anything that comes online. - The bug with SLI causing issues, they’ve got a fix internally, but that’ll hopefully come in the next patch. - Q: Emery’s new lighting doesn’t look that great in the hangar? A: There’s a known issue right now where CryEngine has a default time of day setting for the levels, and it’s showing the wrong one for the hangars right now. Once that’s fixed, the hangars will look even better. Should be fixed super soon. - Q: Bug-fixing patch between now and 2.0? A: That’s really up to production. Right now they’re basically focusing on 2.0, really going to try to focus on getting that out. If that comes out, any fixes would just be rolled into it. Possible, but unlikely. - Q: What bug has needed most testing so far? A: There’s one for FPS module with weapons that’s come and gone a few times. The stock on the gun disappears, and when you aim down sight the back of the gun disappears. They’ve had to deal with that for a while, it’s a problem with the builds. Only happening on release build, not profile build, but they’re getting that fixed soon. The broken hand in the buggy also took a long time to fix, but it’s no longer an issue. - Nothing new about grabby hands, it’s still an idea at this point. - Q: Land on a planet in 2.0? A: If you try to land on a planet, first you get a message saying you’re entering the gravitational field, and if you continue for a while, you’ll eventually die. - The concept phase of the Crucible is locked down, they’re working on what they need to show people when it goes up for sale. Ben and Sandi come up with a list of things: concept image, show it working with a capital ship, show it picking up a smaller ship, blueprints, what to include on the design post for repair, and more. Should see the Crucible soon. - The QA team have a mix of AMD and Nvidia GPU’s, and AMD and Intel processors. Good variety of machines to test everything. Also a good selection of HOTAS and controls. - Q: Can friends visit each others hangars in 2.0? A: No. That comes with persistence. Area 18 is basically a multiplayer hangar, so it’s not too far off, but they haven’t been testing it yet. Not in the first drop of 2.0 anyway. - Q: Deadzone settings on joysticks? A: It’s on everyone’s radar, hopefully fixed for 2.0, but it’s on the list to get fixed asap. - Q: 890 Jump for sale again? A: Probably. - Q: Update on Morrow tour? A: They’ve made good progress. There were some issues that they wanted to fix. It still won’t be full release, but we’ll see it soon. - The Archimedes is close. Probably see that soon-ish. - They need to finalize the list of loaners for 2.0 after the show. If you don’t have a Retaliator or a Constellation, but you have a larger ship, there will be a loaner. - Q: Auto tracking gimbals? A: They’ve been discussing it. There are ideas being thrown around. It won’t be free, there will be a direct cost for using them. Could happen, but won’t have the same potency. - Q: More controller options in the future? A: Yes. First they have to get what all the controls will be sorted, for scanning, mining, salvage... Once they have that action map built out, they can start working on customization and parity between controllers. - Q: New mini-games in the works? A: None at the moment. They usually pair those with sales that have new concepts, but they’re pretty good for the rest of the year at least. - Q: Update on concierge ‘stuff’? A: Yes. Alexis believes next week, possibly, they’ll start selling the special Concierge card. They’ll have those available for sale for a few weeks so everyone gets a chance to order one. Also talking about Concierge flair for 2016. - Un-melt requests are still on hold. They’ll get to those once they’re through the rest of the queue. - Q: New goliath mouse pads in the works? A: Nothing in the next few months. They might do an alien one as the next design, for 2016. There will be some new pre-order merchandise coming in November for the November livestream. In addition to the livestream in November, there’ll be one in December as well. December 16th, holiday livestream. - The Connie when 2.0 drops will be the Andromeda. It’ll be the only version available for some time. - Q: Freelancer concept? A: When it’s approved, we’ll see it. Can’t get something shown before it’s approved, cause if you show it before the direction is solid, you might be misleading people. - Q: ETA on next profession update? A: Repair will come with the Crucible, so that’ll likely be the next one. - As much as they want to get the design deep dives out, they have to make sure they’re saying the right information first; to make sure that they’re going to be able to implement the stuff in game. They can’t only tell you want the want to do anymore, they have to tell us what they CAN do. - They’re working on something for the Cutlass. John Crewe is putting together a Q&A. - Q: Able to mine in 2.0? A: Not in the first drop. The features for 2.0 at launch are what you saw at CitCon, with a few surprises, but it’s the bed they can expand on, and we’ll be able to test them in there eventually. - Q: Rear turret for Connie? A: No update on that from last week. They’ve been hashing some things out, cause they’re working on the Merlin and stuff as the connie gets ready, highly unlikely. You might be able to swap out some other things with it, but you won’t be able to swap the turrets for a docking collar to have an additional Merlins, it wont be a one to one ratio for what you can swap to across all turret mounts. - Q: Can we buy / earn ships in 2.0? A: No, not yet. - Q: Which studio will work on the Banu Merchantman? A: Ben thinks Santa Monica, but he’s not 100% sure. UK is the Vanduul and possibly the Xi’An. - Q: Will 2.0 have currency? A: No answer yet. Probably REC to begin with. - Q: Prowler? A: Nothing yet. They’re waiting for some resources to clear up. Once the Reliant variants are done, Prowler will start. - Q: Steam controller? A: Testing it in Austin now. - No talk about drones yet. - There is no persistence in 2.0. If you lose your ship, you don’t actually lose your ship. There’s no reputation system either. This is not the kickoff of the PU, this is a great big playpen to break over and over again. - They haven’t started working on the other Connie variants yet. They need to get the Andromeda right first, then they can move onto the others. Getting the base connie built with systems in place and modules, that takes a long time. Going from there to the other connie variants is much faster once everything’s locked down. - A lot of 2.0 is simplified from how it’ll be finished. The repair mechanic to individually repair things isn’t in yet, but they’ll talk through that as they get closer. Quest system is very simplified quests, not indicative of what’ll be in the PU. - Q: Referral program? A: Going pretty well. Lots of people are getting into it. 1 millionth Citizen was a member of the Referral program. Some more tiers will be announced eventually. - You will not be able to create a private instance of 2.0, at least not in the first drop. But you should be able to see which instance your friends are in and join them. - Not going to tell when 2.0 comes. It’ll be when it’s ready. And it’s not cause they know. They just don’t know yet. It could be 10 minutes from now, could be 3 weeks from now. It’s got to be in a position where it’s a value for the community to test it. Can’t rush. - Pretty much content complete, just doing bug fixing and internal testing before it goes to the PTU. Once they know it’s going to happen, they’ll let us know. - Q: Battlefield Upgrade Kits for the Connies? A: No. Different ships, different processes. - Q: Dragonfly? A: It’s in the plans, but it’s not a sure thing. It lost the vote, the Reliant won, so they’ll look at it after they finish the ships they already promised. - There’ll be one more RtV before they move to the new office, and then they’ll be in the new one. ALSO: There was a Subscriber version of Reverse the Verse as well, on Wednesday. - Gurmukh’s Week: Working on finishing up art for Archimedes. Done some renders, things like that, then he’s going to help with Crucible art, figuring out an Anvil style guide too. They looked at the Crucible last week, said the interior should be more ‘anvil looking’, so they’re tying up the style guide for Anvil for everyone to follow. - Jeremiah’s Week: Working on Characters for SQ42 - John Rhys Davies, Gillian Anderson, Ben Mendelson. He’s working on lots of things that he simply can’t talk about. Also working on helmets, for a corporation that he can’t talk about. - Elwin’s work: Working on the Connie, trying to get it where it needs to be. Working on animated parts - missile arms, missile boxes, redesigned the landing gear, and did a pass on the Merlin docking port. Chris was very happy with the docking port. Now they’re waiting for code support to get it working, but it’s blocked in so they know what it’s looking like. He’ll be moving onto the Reliant next. - The Crucible’s a very complicated ship. It’s the penultimate ship in the most recent wave of fan-voted designs. It’s a repair ship, designed to fix military vessels in the field. The rear bay’s designed with clamshell doors, CANADARM style grabbers. For a larger ship, it moves up and repairs the ship in open space. Todd Papy’s been in charge of the repair design process. There was some shown in the CitizenCon demo, which was just the shortcut. Actual repair system will be more complex. We’ll learn more about it when the Crucible hits, no ETA, but the Crucible’s probably the next ship. It’s modular, the back bay can be removed and replaced with something else. It was initial concept by Ryan Church, who did the Connie, Bengal, etc. - One of the challenges for the Crucible is trying to get it to fit the manufacturer, make sure the interior looks like Anvil. And another big challenge is making sure there’s a clear-cut boundary between ships that can and can’t fit inside the repair bay. Right now they’re focusing on making sure the mechanics are set in stone before they work on the concept art too much. Game designers are working on placing things inside, making sure things work, before they do too much concept art. - Omar’s been working on concept art – helmets and such. Also working on the new character layout – swappable items, stuff like that. The pipeline for characters is now in place, so they’re improving the standards, seeing how far they can push the limits while still saving on memory. Right now Omar’s doing a suit that he can’t talk about. 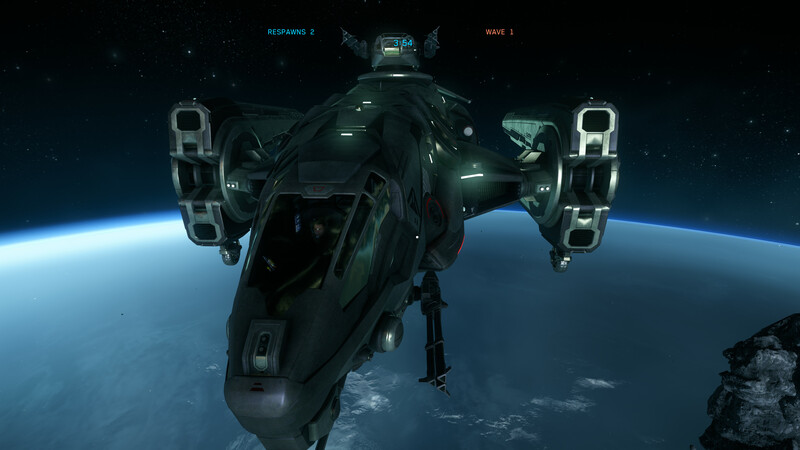 - Gavin Rothery in the UK did the Sabre. He also did the first pass component concepts, and the Starfarer. - The Sabre is moving into Whiteboxing right now. - Q: Are you familliar with PhysX clothing from gameworks nvidia / plan to use it? A: Not familiar with it. They’re not using it, however they can’t talk about what they are working on instead of that because they need to see how much they can use with the memory constraints and limits. They could do a lot of stuff, but they need to see what they can allocate memory to. - They’re doing some tests to see what they can do for physics on clothing, for as they’re moving and stuff, but they need to test it all. They need to give a lot of customization, but still have a very low resource cost. Wear and tear stuff, and changing colour on clothes, are very easy right now. - Q: Will there be ‘designers’ in ‘Verse? A: Yes. There will be certain types of designer clothes and such in ‘Verse. - Working on Shubin for a good month and a half, and they’ve got a style that fits just the Shubin corporation. A Shubin shirt won’t look identical to a ‘terra casual’ shirt. - Q: Update on ship skin system / ability to paint ships? A: Nothing to update currently, but they’re looking on ways to make it easier. Looking on ways to allow players to do it, they just haven’t figured out the best system for it. Working on getting content out first, they’ll do ship customization later. - Nyx is being worked on by Austin. Maybe some Nyx updates when they visit Austin in two weeks. No promises though. - Q: Xi’An Scout? A: It’s going to be built out in Austin. They’re doing concept stuff in the UK though for it. Exterior and interior, building up the ‘culture kit’ for the Xi’An, which’ll be used as a base for all Xi’An ships. - Dan has been working on the Herald, fleshing it out. Apparently it’s a jumbled mess of wires and server racks and such, but it’s the second Drake ship, so he’s had some room for creativity to build out what Drake is. Aegis and Anvil, even though they’re military, they’re really nicely built. In the Herald, Dan wanted to expose some of the internal insulation, cuase it doesn’t need to look pretty, it just needs to fly (as a Drake ship). - Q: Characters with exposed necks? A: With legacy characters, they weren’t certain what would be EVA capable and wouldn’t be. That’s been thought out, reconcepted, and more. They now have a collar system. If the suit is EVA capable, and you put on a helmet, it will lock, it won’t have an open neck. What we saw before was just for concepting purposes. No characters in space will have exposed necks. They do take into account where everything locks together and stuff for surviving EVA’s. - Q: Prowler? A: Work on it hasn’t started yet. The Tevarin race don't have a culture kit built yet, but it’ll be built soon. 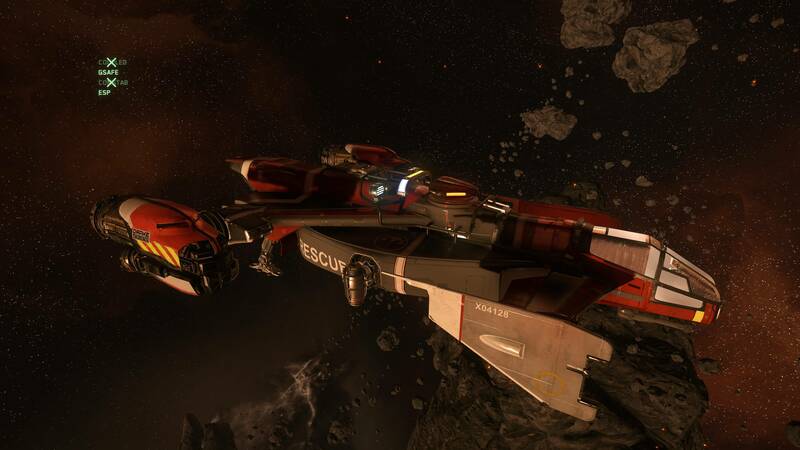 The Prowler will get started once the Reliant variants are done, which will be very soon. - Q: Custom logos? A: They’ve had conversations about it, but that’s more for the game designers. The hope is yes, it’s a long term goal, but not much work’s been done on it yet. - Q: Update on what studios are working on what ship manufacturers? A: UK – Aegis, MISC, all Vanduul ships. Austin and Santa Monica have – Anvil, Drake, RSI, Origin. Consolidated Outland hasn’t been assigned anywhere yet. - Q: Starfarer? A: It’s getting built out right now. Part of it is in greybox, some sections are looking awesome. - Q: How closely will fashion trend with tech in the ‘Verse? A: Hopefully a lot. A benefit of working on characters, some of the concepts you can develop while you’re modelling it. When people have ideas they can be implemented further along in the process. If someone has an idea about tech, they can integrate that in. Lots of the fashion right now isn’t very high-tech, but we’re in Arc Corp. Go to Terra, and the fashion might have a lot more tech in it. - Q: How long does it take to design a character concept? A: Depends on what type of person the character is, but not long. If it’s a miner, a day. If it’s a heavy marine with EVA capabilities, takes a bit longer. Depends on the uniqueness of the character. Also they do three variations of a character. Can’t just have one concept art. Have to show different variations, so Chris and Designers can take their pick. Some characters’ll be approved in two days, some in two weeks. - For ships, a single-seater can take about a month, and the bigger the ship, the longer it takes. Also depends on the company. Aegis is very defined; Retaliator sets the tone for future Aegis ships. When you’ve got stuff like the Retaliator providing information, it speeds up the concept. But if it’s a company with less pre-made ships, it can take a lot longer to figure out the look and the feel for the company. - Q: Cybernetic replacements for losing a limb? Any work on that? A: Not really. Worked on some medical appliances, but not that far yet. Still very much in the works. - Q: Weirdest thing you’ve worked on? A: Designing space bathrooms is weird. You have to think about how comfortable it’ll be, don’t want it to be cramped. - Q: Carrack? A: Gurmukh’s pushing to do more on it, but there’s a lot of work that needs to be done. Lots of fun things he wants to do on it, but needs the scheduled time for it. - Q: Helmet that resembles a cowboy hat? A: The main thing for characters is lore. If it fit the lore, Chris and the writers wouldn’t have a problem with it. But would we be wearing anything that was made 900 years ago? - Q: Working on landing zones in Santa Monica? A: No. Mainly characters and spaceships. - Q: Doing any work on Alpha 2.0? A: Connie. The Connie is a big part of 2.0. They’ll be in trouble if the Connie’s not ready for 2.0. All hands on deck is to get the Connie ready, all hands on deck on the Connie in both Santa Monica and Austin. - Q: Connie variants, do you go straight into them after wrapping up the Connie? A: No. Their focus is to get more ships out first before piling things on to single ships. Need to test out different kinds of difficulty. For 2.0 and the immediate future, you’ll be flying the Connie Andromeda. No plans to get the variants out soon after that. - Q: Work on Freelancer? A: Because it’s a MISC ship, it’s being done in the UK. They’ve started doing more concept passes on it, getting it updated with the new MISC look. Apparently the cargo area looks really cool right now. Freelancer won’t be 2.0 launch, but it’s a priority to get a lot of resources on it soon. - Q: New materials? Things invented in the future, or just using things that exist now? A: Alien species is where we’ll see most of the ‘new’ materials. Being explored for Xi’An now, and it’ll happen for other species as well. - Q: Avenger variants? A: Work has been done on those, but that’s UK. Nothing to report yet. - They’ll be treating it like the initial .7 or .8 launch of AC. One or two ships at launch, more hulls soon after, but the base multicrew gameplay concept needs to get out and into our hands, to make sure it doesn’t explode. - Sabre won’t be in 2.0. It’s in whitebox now. - Q: EVA suits are the seal rings standardized so equipment can be swapped out? A: That’s the plan. There will literally be ‘stages’ on the character. One will be the glove, they’re called items. Like components, can swap them in and out. Could have an RSI helmet, a light-marine boot, etc… that’s the idea, they’re working towards it. That's all for this week. See ya next time. Cicero Wolfe, N4Z0, Maki and 10 others like this. Nice work man! And the weekly report was uneventful?! They basically said "yeah AC 2.0 I a pretty close to being ready, you should be seeing it soon" in as confident a manner I've seen from CIG in a while. Well, it was more along the lines of the weekly update being the 'norm', not so much the content it contained. And yes, it was fairly confident. They have stated multiple times they are content complete on Alpha 2, it's just a matter of bugfixes and polish. The problem is that they say bug fixing and polish as if it were trivial. Net code not working properly and the game crashing repeatedly are both bugs - they took ages to fix back in AC .8. The jump from dev build to live is enormous, so I still have doubts. But I hope to be proven wrong they'll do an amazing job as always, I just don't expect it to happen that soon. They have been bug fixing Star Marine for 6 months. seeing as they have showed alfa 2.0 twice now, i think we are close. That Hermes navigator thing is so cool though, the "Bypass" feature is super freaking helpful. Getting shortest distance or least jump points navigation mapped out while avoiding all Vanduul space for example. God I love this game.